Book a luxury APT India River Cruise holiday of 15 days or longer, departing in 2016, and you’ll receive free return flights to India. The deal applies to APT’s new 20-Day Wonders of India all inclusive itinerary which combines a 12 night land journey that showcases all the icons of India - from bustling Mumbai and India’s Lake City of Udaipur, to the Taj Mahal, Delhi and the ‘Pink City’ of Jaipur, and the spiritual hub of Varanasi - with a seven night lower Ganges river cruise aboard the luxurious RV Ganges Voyager. Priced from just $16,195 per person, twin share, guests stay at India’s leading luxury five star hotels, including The Oberoi Udaivilas in Udaipur and The Oberoi Amarvilas in Agra, with its stunning views of the Taj Mahal. Sightseeing highlights include seven APT Signature Experiences, such as a unique cooking demonstration with a local Delhi family; and the chance to see a fire-lit Aarti ceremony during an evening prayer cruise in Varanasi. 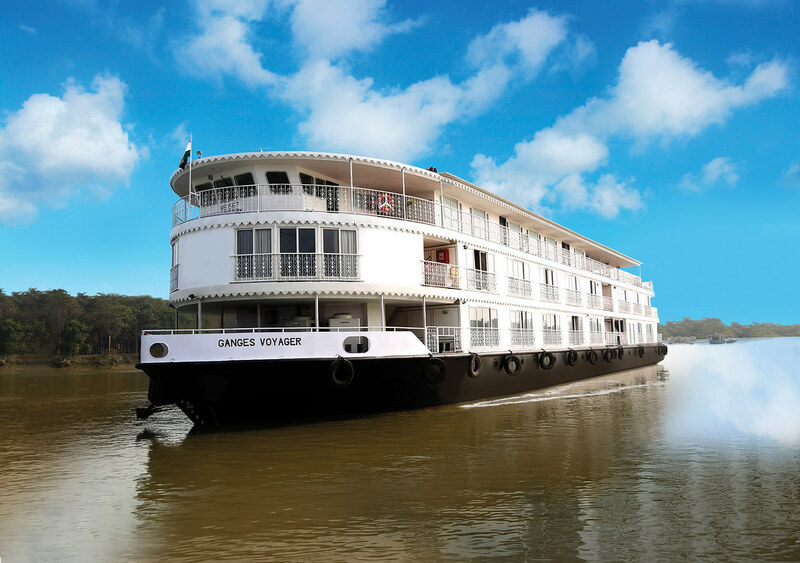 APT is just one of a few Australian travel companies offering river cruising in India. Sailing aboard the RV Ganges Voyager on a round trip from Kolkata to Murshidabad, guests will enjoy cruise highlights including the opportunity to visit Mother Theresa’s house; learn about the local Hari Krishna community and culture; enjoy a tour of the Hazarduari Palace in Murshidabad, built by an English architect in 1837 and featuring 1,000 doors and a collection of European paintings, china and weapons; and shopping at shore side bazaars. The new RV Ganges Voyager rivership features well appointed suites, all with private ensuites, flat-screen televisions, on-demand movie systems and Panoramic balconies. It also features a sun deck, grand dining room, stylish air-conditioned lounge, spa and gym and is designed to accommodate just 56 guests. All accommodation and meals are covered in the price, with guests dining at the highly sought after restaurants in their luxury hotels. Also included are the services of an APT Tour Director, all flights within India, tipping, airport transfers, sightseeing, porterage, complimentary house wine, local beer and soft drinks throughout the Lower Ganges river cruise, all sightseeing and accommodation. Offer is valid on all bookings made by 30 June 2015. Flights are with Singapore Airlines or an airline of APT’s choosing. Terms and conditions apply and offer is subject to availability.